We care about the health of our entire community, so the North Memorial Health Foundation dedicates itself to raising money to support it. When you give to the foundation, you help close the gap between the services we provide and the compensation we receive from customer payments, insurance and the government. Your gift improves customer service, programs and services, and community partnerships. That all adds up to better healthcare for everyone. Support better technology, more highly trained medical and support staff, and access to the best possible care—whenever, wherever, for all. Learn more about different ways to donate and programs we support. For more than 25 years, we have made improving care, treatment, outcomes and experiences at North Memorial Health our mission. When you give to the North Memorial Health Foundation, all of your funds are dedicated to improving our healthcare system—not the foundation itself. We rely on donations to help close the gap between what we receive through customer payments, health insurance and government funding. Your entire gift supports improvements that would likely not otherwise be possible, making us a strong, responsive and accessible community resource. Our nonprofit status means we provide care for all, regardless of insurance status or ability to pay. This means everyone who walks through our doors will receive the best healthcare we can provide. Download our Report to the Community to read all about the dollars at work in 2017. Your gift makes a huge difference, no matter when or how much you give. We appreciate your consideration and generosity and make it easy for you to give in a variety of ways. One-time donations or recurring donations (cash, check, credit card). Planned giving (will, annuity, trusts, insurance, real estate, etc.). Sponsoring or attending our events. In-kind donations of goods or services. Donations from people like you make it possible to create innovative programs and support customers physically and emotionally. We support services provided by the North Memorial Health Cancer Center and the North Memorial Health Breast Center. The North Memorial Health Foundation supports the important work of the SafeJourney domestic abuse program. The North Memorial Health Foundation provides ongoing support to customers and family members including prevention screenings, diagnosis, treatment, education and more. Check out the award-winning North Memorial Health Heart & Vascular Center. Many services for hospice customers and their families are not reimbursed by insurance. Your support allows us to provide hospice services to those needs. The North Memorial Health Foundation supports the operating expenses for the North Lodge Guest House, which provides free on-campus housing for families arriving from out of town. The North Memorial Health Foundation supports evidence-based training in order to provide the best in customer care. Our spiritual care team helps customers face the fears, worries, doubts and questions that may arise in times of illness or trauma. Help us build a better healthcare system, from the Foundation on up. Mark your calendar to help North Memorial Health Foundation raise money and awareness—and have fun! Join us for a round of golf at Rush Creek’s championship course in support of neonatal programs at North Memorial Health! North Memorial Health Foundation invites you to an elegant affair in support of neonatal programs and services. Be an integral part of helping our events happen. Talk with us to find out how you may sponsor a portion of them. Get an opportunity to integrate your brand, and most importantly, raise money for a meaningful cause. 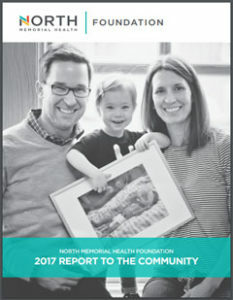 When you give to North Memorial Health Foundation, you make a difference. We will work with you to find the best way to create a charitable plan. We always need volunteers for events, and also take on volunteer interns. Contact Patty Ahl – Patty.Ahl@northmemorial.com for more information. 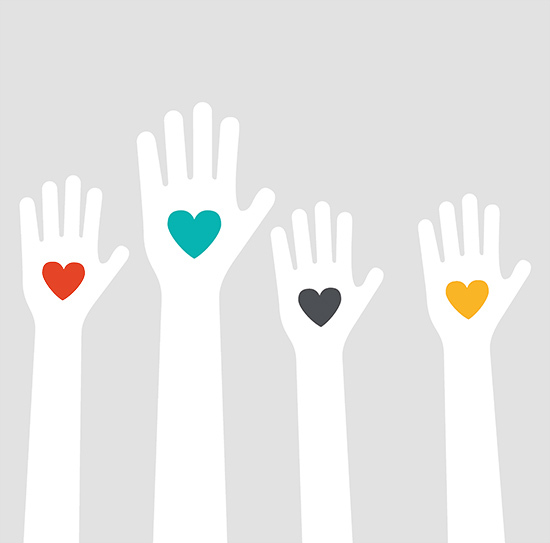 Enable customers to make the best decisions for their care and provide support—this is a fantastic way to see your generosity at work in real time. Keep up with the latest news and events at North Memorial Health Foundation.